Imagine you’ve just had a sub accept a request to cover your classroom tomorrow. Great! Now you have peace of mind about taking the day off. As you look at the confirmation email though, you realize that you don’t recognize the name. It’s a new sub. You start to imagine how they may be feeling. They’ll be going to an unfamiliar school, teaching in a different classroom, and supervising a new group of students. Sounds intimidating, right? Well, here’s a few tips to help you make their day as stress free as yours. 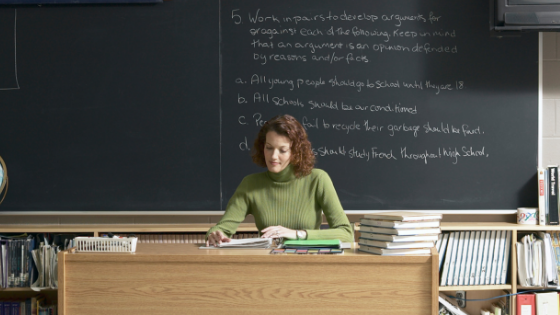 Setting a new substitute up for success begins before they even arrive at school. The best way to prepare them for the day to is to notify them of important information related to your school. This means guidelines like how early to arrive, where to park, how to get to the office, who to look for when they walk in, and who to call if they are going to be late. Answer these questions before they are asked by sending an in-app message through Tagg. Providing information such as this makes the sub feel prepared and allows them to make a good impression right off of the bat. We also suggest including this on your school profile as it something subs can refer back to anytime. While you are encouraged to upload your lesson plan to Tagg prior to the job, we also suggest including a printed copy on your desk so that the sub can quickly refer to it. Like most lesson plans, make clear what it is you want your students to complete throughout the day and what can be left undone. Provide all the necessary materials in an obvious spot so that they can’t miss it. Also include backup work in case things don’t go as planned. Since the sub will spend a majority of their day in the classroom, we cannot indicate how immensely helpful it is to have this information. Every classroom they enter has different rules, expectations, and processes and even the most seasoned subs will benefit from having this outlined for them. One of the most important things you can do to ensure your sub and your students have a great day is to be welcoming, kind, and respectful. Just because you may never meet your substitute in person, doesn’t mean you can’t develop a good relationship with them. In addition to providing all the materials and information outlined above, follow up with the sub after the job is over. Reach out to them via in-app messaging and ask how the day went. You may gain feedback that will help you adjust your procedure or guides for next time, but you can also provide constructive guidance to help the sub with their own professional development. If nothing else, simply thanking them for their hard work is sure to leave a good impression and will encourage them to come back. So, the next time a new sub accepts your request, consider these tips to ensure a positive experience for everyone!